Cassell Plan Audits is a certified public accounting and business advisory firm founded by JoAnn Cassell, a former national accounting firm professional. Our services are primarily geared toward employee benefit plan sponsors or public accounting firms, in need of technical employee benefit plan resources. Employee benefit plan audits (and related services) are the sole focus of our business. If your last plan audit seemed to go on for months, or the request lists from your auditor continued weeks after the initial visit, we invite you to contact us today! Our streamlined approach allows us to provide you with an audit experience that is efficient, affordable and minimally disruptive to your business. JoAnn has over 20 years of public accounting experience and over 15 years specializing in audits of qualified plans. She is the founding member of Cassell Plan Audits, Inc., a specialty accounting firm located in the western suburbs of Chicago and serving clients throughout all 50 states. 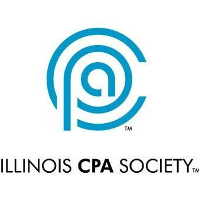 Memberships and affiliations – American Institute of Certified Public Accountants (AICPA); AICPA Employee Benefit Plan Audit Quality Center; Illinois CPA Society; American Society of Pension Professionals and Actuaries (ASPPA) with a designation of Qualified 401(k) Administrator (QKA); President of ASPPA Benefits Council, Chicago (ABC) and former VP of Membership for the ABC; AICPA Employee Benefit Plan Conferences Planning Committee; ICPAS Employee Benefit Task Force. JoAnn lives in St. Charles with her two daughters, and enjoys traveling, running marathons and spending time on the water. 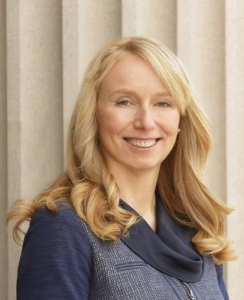 Jennifer holds a Master’s Degree in Accountancy from the University of Illinois at Urbana-Champaign, and is a registered CPA in the State of Illinois. She joined Cassell Plan Audits in 2014, with over 3 years of public accounting experience specializing in the audits of qualified plans. Jennifer lives in Wheeling with her husband, and enjoys reading, playing cards and exploring new places. Pamela received her Bachelor’s Degree in Accountancy from DePaul University in Chicago. She has over 7 years of public accounting experience, and over 3 years specializing in audits of qualified plans. Her background also includes general accounting, working directly with a third party administrator for unions.